My name is Paul Bartek and this is my website. On Cowfish Studios you will find unique DIY electronic projects, open source software and great tutorials! 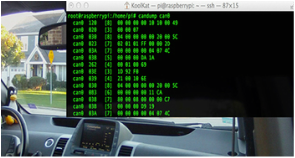 Gain access to your vehicle's internal network using a Raspberry Pi! Currently we are working on the Sunflower Shield - 3.5” HMI Display w/ Cap Touch for Arduino.